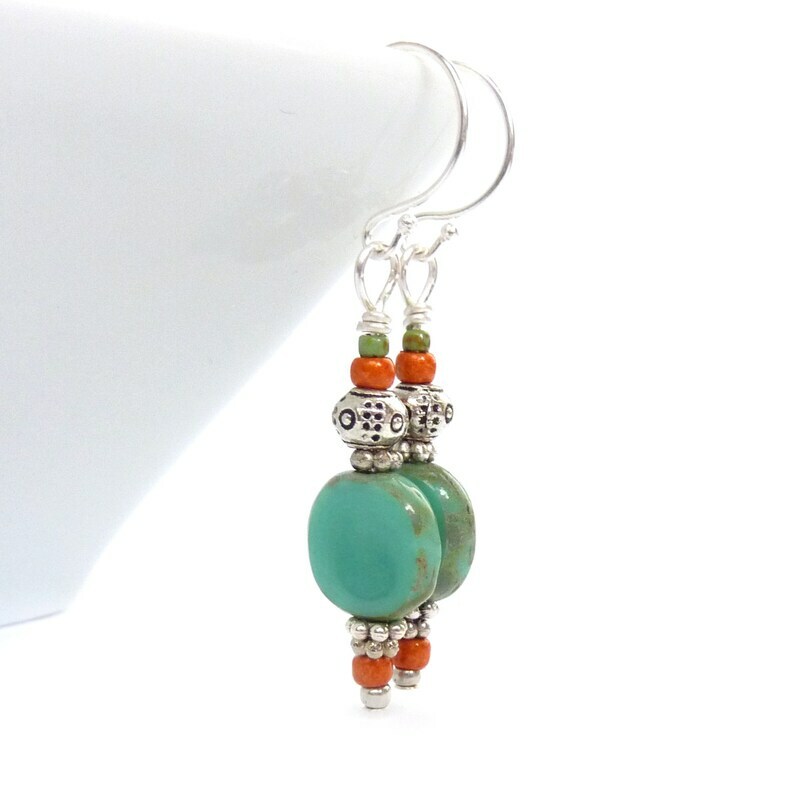 Fun boho earrings to wear every day made with turquoise glass oval beads that have a warm antiqued Picasso finish and small orange seed beads that add a beautiful pop of color. I layered the earrings with silver spacer beads in various shapes and sizes. You can select an ear wire from the drop-down menu at the right.